The entire scene was set. The boys had sat with me up the dining table, their excited faces reflected in the glass baubles of the Christmas tree. The twinkling fairy lights making their eyes shine and adding to the festive atmosphere. We were writing their letters to father Christmas. We were soon off to see Father Christmas at his home in Lapland, so this was serious letter writing. Cally and Fin had used the special lapland scrolls that the elves had sent them. We had thoughtfully added some glitter stars to decorate the letters, just so Father Christmas would recognise them as Cally and Fin’s, and they had used their very best handwriting to sign their names at the bottom. They were being sent to Father Christmas before we left for our most magical holiday in Lapland. Carefully, slowly rolling the scrolls up, I used the red ribbon that we had been given to tie the scrolls, sealing the precious letters. We let out a breath. All looking at each other. I asked the boys if they were happy with what they had wrote, as once it was handed over to their Dad, that was it. No changing their minds. I told you, it was serious letter writing. They looked thoughtful, mulling over the answer, then both replied yes. Nik took the scrolls from the boys, and walked over to the log burner, the flames flicking at the logs on it, ready to accept the letters. “Father Christmas” , he called out. “I am sending you Cally and Finley’s letters in the magic smoke from the fire. They have decorated them with red stars so could you look out for them please” The boys held their breath. Nik pushed the scrolls into the fire and we all watched, the words be carried up the chimney in the magic smoke. Thank you Father Christmas 7 year old Fin whispered…. Even now, nine years on from our holiday in Lapland, writing those words and thinking about the trip makes me feel emotional. 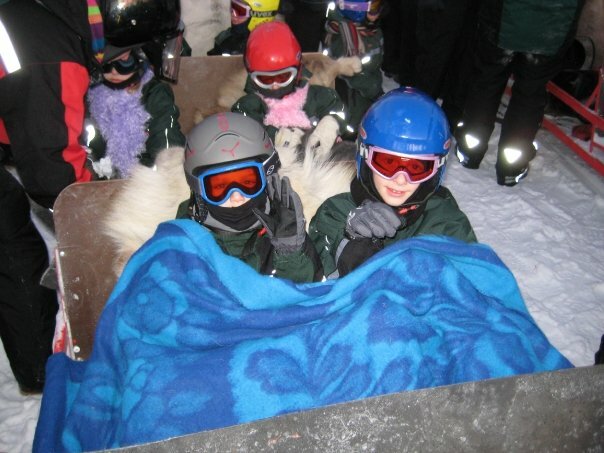 I had dreamt of taking my boys to lapland since they had arrived in the world. I am a Christmas obsessive, I adore everything about it and still wholeheartedly believe in the magic of Christmas. 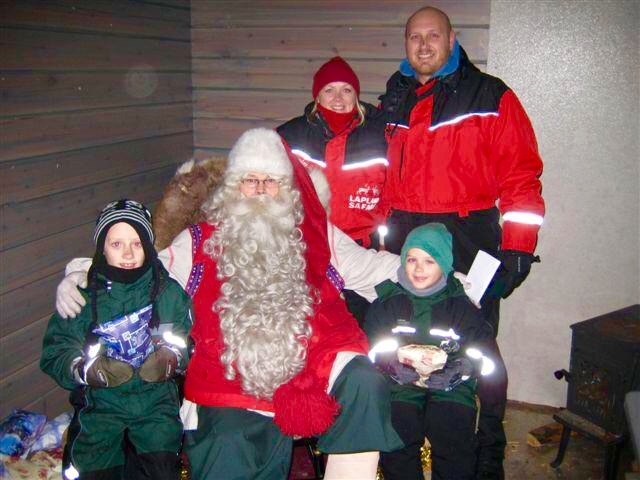 A trip to Lapland with my sons was the ultimate holiday in my opinion. The dream. 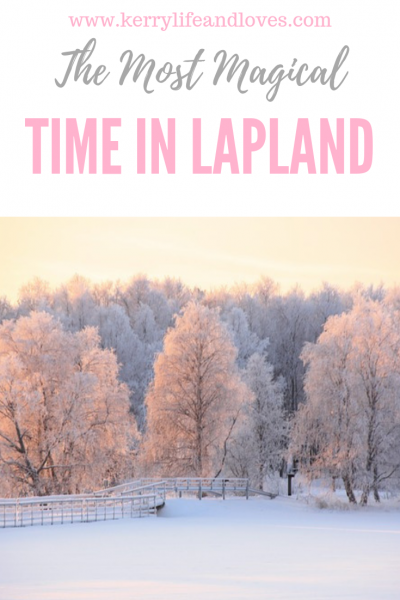 I thought I would share with you the experience that we had, of the most magical holiday in Lapland, and hopefully convince you to take a trip there……and have room in the suitcase for me……I’m no trouble I promise. I had looked into Lapland a few times, but it was so expensive! It was something I was desperate to do though, so I worked out what I would need to save per week, and set a target in my mind to save and take them 18 months later. (Incidentally, this desire to get to Lapland was how my beauty clinic started, but thats a story for another day). We knew that we didn’t want to just go for a couple of days, it was going to be a once in a lifetime holiday, so we booked for five days. A quick google will show you there are so many tour operators, and so many package experiences that you can do! 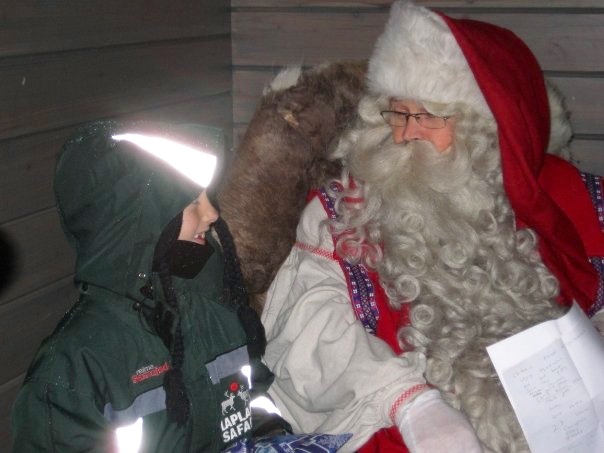 Lapland is a fair sized place, so not only do you choose your area, but you choose the package that you want. This would depend on what excursions etc you wanted included, and the length of your stay. We knew that we had a few things that we wanted. We wanted to stay in a log cabin, do a snowmobile safari, an Arctic Circle crossing ceremony, and a private family meeting with Father Christmas, as opposed to a group meeting (if you ever decided to go, I would recommend the private meeting 100%). We also knew that we wanted to be in an area that gave us the best chance of seeing the Northern Lights! Nik was desperate to see them. We decided that we would go to northern Finland, to a place called Saariselka, and our 5 day trip was called a Lapland Safari. It offered us all the things that we wanted to do. The magic of the experience starts before you even get on the plane. Once your holiday is booked, you get given a couple of paper scrolls per child. The idea is that, as we did in the opening paragraph of this post, your child writes his or her letter to Father Christmas on it. It is then handed over to you to send on to the man himself. The second scroll is so that you can show your little people that the letter really is going in the post box of whatever. As I explained, ours were going to be carried in the magic smoke up the chimney, so we did a little slight of hand and swapped the scrolls to the blank ones, ready to hand to the written ones to the “elf” on the plane to be passed on to the Man himself. The plane journey has all of the cabin crew in elf hats, and christmas songs were being played. It really was fantastic for the kids. Arriving at our destination, we got off the plane to see two of Santa’s elves, and a reindeer waiting to greet us. It was freezing cold, but the excitement was keeping us warm. It was perfect. Traveling by coach to our resort, The Holiday Club Saariselka, we were given huge snowsuits, boots, gloves and hats. We did take our own stuff with us, but it was below zero temperatures and their snowsuits are made for that. We gladly swapped into them! We had opted for a Log Cabin in the woods to stay in, rather than the hotel as we thought it added to the magic. It was a great choice. The cabins had a sauna in them, and were just so comfortable and cosy. I loved our little cabin and am so glad that we opted for that. The extra money it cost was so so worth it. We used to trudge through the snow to go to the hotels restaurant and pool, which again, made every time you went outside an adventure. 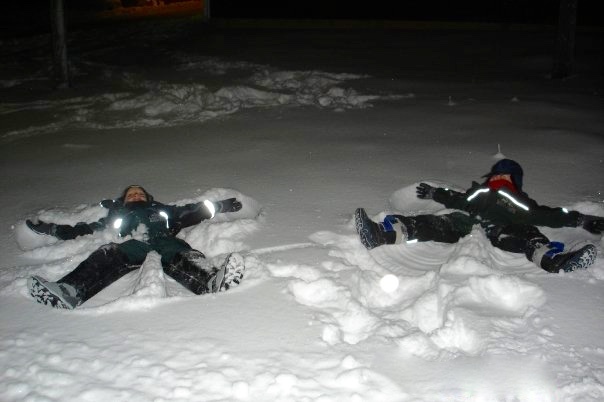 I lost count of the amount of snow angels we made. Or the amount of times my boys “bundled” me and we rolled around in the snow. I actually feel so emotional recalling all the details for this post. It was just a perfect, perfect family holiday. We had included a lot of activities in our trip, but we did also get time to go to the nearby hill with toboggans that the hotel gave us to use. There really is nothing more perfect than hurtling down the hill in the twighlight, bundled up against the cold, laughing until our stomachs hurt. Finland only has about 5 hours of daylight at that time of year, so it always feels like night time, and is always so quiet because of the thick snow. Street lights shine down onto the snow, making it sparkle and twinkle with diamond dust, so the entire place feels like you are truly in father Christmases home. If I went through the entire list of what we did in detail, we would be here until Christmas next year, so I am going to list them with a brief description. I will of course fill you in with details on the main event itself. The day we met Father Christmas…..
Snowmobile Safari – An exhilarating ride on what seemed to me like a jet ski that went on snow instead of water! It was so much fun. We went through the forest, searching for those naughty elves, and looking out for the magic flying reindeers. After a couple of hours we were welcomed at mother Christmases cabin where we enjoyed a warming lunch and hot berry juice. Then it was back on the snowmobiles to head home. Husky Ride – Now, I have a funny story about this bit. You know I have an obsession with animals, so I really worried about this part of the trip. I was scared that the dogs were being forced into dragging tourists through the woods and it wasn’t right. To be fair, when you get there the dogs are soooooo excited. They are all barking and chomping at their restraints to get going. You could tell they were full of it. However, I still felt really bad so…….I made Nik run along at the back of the sledge, pushing it to help the dogs……Seriously. I did. That poor man. 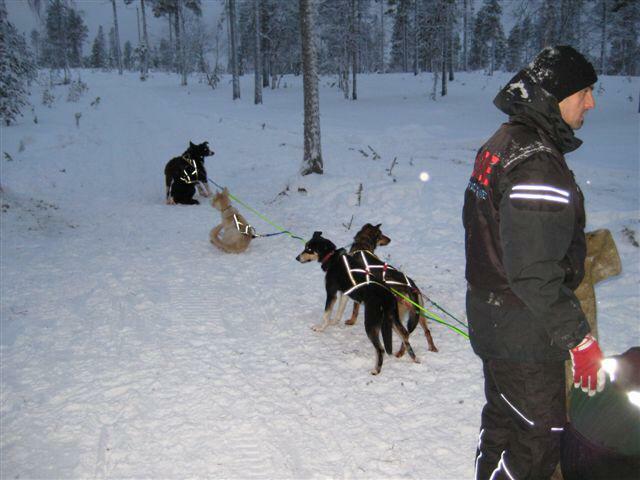 Me and the boys were snuggled up under blankets on the sleigh, Nik and his team of huskies were taking us around the woods. He was knackered by the end of it. Not sure he fancies joining a husky team…. Arctic Circle crossing Ceremony – I loved this. we went to a traditional Kota, and all sat round a roaring fire. We sipped hot juice made fro Lappish berries, as the Shaman leads the ceremony you have to have before you cross the magical Arctic Circle. You are captivated by their tales of Lapland, and he tells the children that he will be marking us all with soot from the fire, so that we become part of his reindeer tribe when our time on earth is over. My boys were totally captivated, and it was four years before Finley realised that he probably wouldn’t become a reindeer. he was a bit gutted! The whole experience was very spiritual, atmospheric and special. Ice Fishing – We went to a wonderful village where the boys were shown how to cut a little hole in the ice to fish through. They loved it. What was equally as amazing was that the entire village had candle lanterns everywhere, lighting up the paths and creating a beautiful, twinkling village of magical-ness (yep, I made a word up to suit the feeling) It was incredibly beautiful. 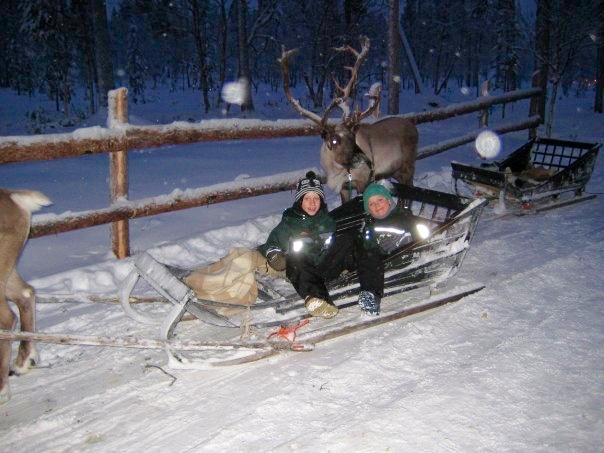 Reindeer Sledge Ride – Reindeers really are beautiful. They are so gentle and their eyes seem like they are looking into your soul. The boys had a wonderful little sleigh ride through the woods. A slow amble, which was so snug, Fin was drifting off to sleep. Leaving our cabin, we headed for the meeting point of where the snowmobile was picking us up from. The boys were told that there was some naughty, playful elves in the woods, so they should look out for them. The four of us got on, and off we went. Winding slowly through the trees, you could occasionally hear the giggle of what could perhaps be those naughty elves? The driver of our vehicle would say that he thought he caught a glimpse of an elf. The boys heads would shoot round, trying to see the elves themselves. Suddenly, soft snowballs started to fly over our heads. Giggling, running and snowballs landing on our sledge indicated that those elves were close by…. Then, Cally let out a squeal of excitement, he had seen an elf. We all looked to where he was pointing and sure enough, there were three giggling elves, They waved at us before running back into the woods. Laughing ourselves at the mischievous elves, we had not noticed the cabin looming up ahead until we rounded the bend. Smoke danced out of the chimney and the windows glowed with warmth and candle light. An elf came out to greet us as we slowly approached, and the boys fell silent. The excitement in their eyes made me tear up. I’m blooming rubbish! The elf said “Callum, Finley, Father Christmas has been waiting for you” In total silence, they got off the sledge, and grabbing my hands, and we all walked into the cabin. There he was. Father Christmas. Sitting in a huge rocking chair, his little glasses reflecting the flickering candles, his beard reaching all the way down to his red suits black belt. The boys just stared. “Come on over Callum, Come over Finley” father christmas said, his voice just the perfect spirit of kindness and Christmas. The boys looked at me in awe, and walked over to the seats either side of Santa. Sitting down, still silent, looking up at him with pure disbelief, Father Christmas opened the scrolls that his helper elf passed him. I heard Callum gasp as he saw the scroll. “Mum, Mum’ he said in a loud whisper that was heard by all, “It really is my letter! Father Christmas has got my actual letter. It has the stars on it and everything” “Mum, mine too” Finley said, flapping his hand in excitement. Their huge, wide eyes were glowing with the pure wonder of it all, Nik was looking on as I was, tearful and so very, very grateful that we got this moment with our children. A moment that I can still see every Christmas when I think of it. A moment that we all still talk about as one of the best moments in our lives together. How can the magic of Christmas ever leave me. I saw that magic happen right there, right in that moment, in the eyes of my sons. 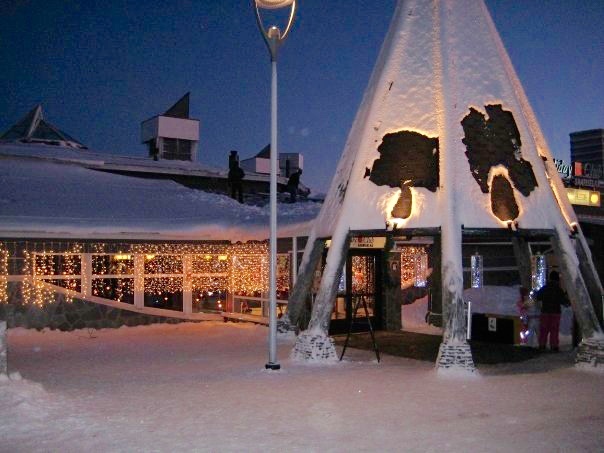 Lapland is expensive and extravagant, no doubt about it. There are a lot more options now days, with day trips and 2 day excursions. Not as costly but I appreciate still a lot. However, if there is any way at all in which you can do it if you have kids, I would urge you too a million percent. Even now, my sons are 18 and 16, they still say it was the most amazing trip that we had. Purely for its magic. It took me two years to save for that trip, but it was worth every last penny. Making memories as a family has no price. Our once in a lifetime trip is deeply embedded in our hearts and minds. You cant put a price on that. So, what do you think? Is it somewhere you have been or long to go? Do you dream of a magical holiday? Whats your dream destination? Would a cold holiday even ever appeal to you? As ever, I would love to hear your thoughts and experiences. Tel me all! Some options and prices can be seen here and here. "Ethical, Natural, Green Beauty – Sharing Information and Learning"
Oh wow, thanks so much for sharing this. It sounds like an amazing time for your family and something you will never forget. We don’t have kids, but I would totally go for the husky sledding and reindeer! I met my first reindeer on Saturday and he was so soft and friendly! Poor Nick though – sounds like you owe him a husky ride so you’ll have to go back!! Oh Kerry you’ve made me all emotional reading that! 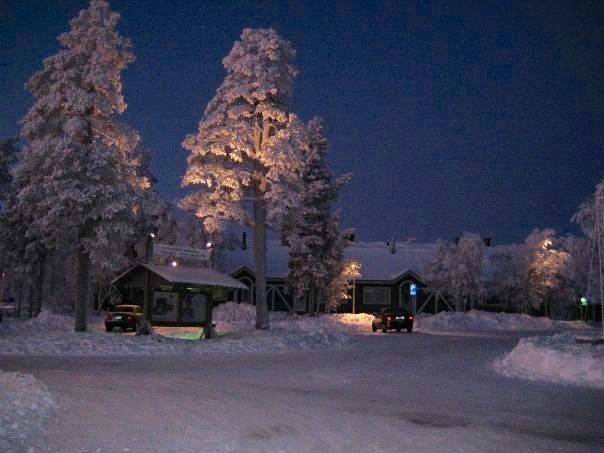 Lapland has been a dream of mine for years, I would love to be able to go and experience it. I’m going to start saving and see if I can make that dream come true! Oh what a fantastic holiday and soo many lovely memories ♥ It’s so nice your boys still remember now : ) brought a little tear to my eye reading this! When I was Cabin Crew we used to do the Lapland flights and the crew would have day stops there, sadly I never got rostered one! Crews always loved doing those flights and said they were so much fun. I’ve just asked Mark if he’s ever been to Lapland and he said once to rescue an airplane & had to night stop at a hotel. He said when he opened his curtains in the morning there was a moose looking in haha! Oh my god it looks stunning! I have never been but it so looks like I’ve been missing out!! Sounds like such perfect memories!! And so so Christmassy. I want to go!